Tangled and True: diy cupcakes. How could I not fall in love with the blog lily jane? It is my first born's name after all. 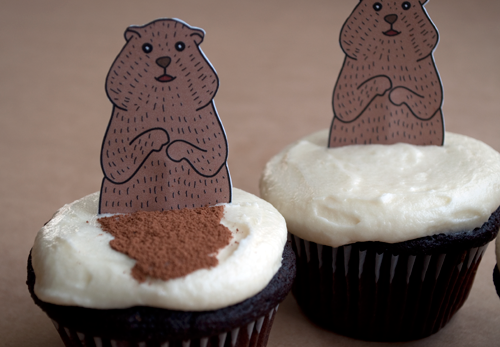 One of her latest posts boasts a diy tutorial for these fun Groundhogs Day cupcakes. I think two little ladies (and one little man obsessed with sweets) will find these the perfect afternoon snack on Wednesday. I particularly love his shadow!